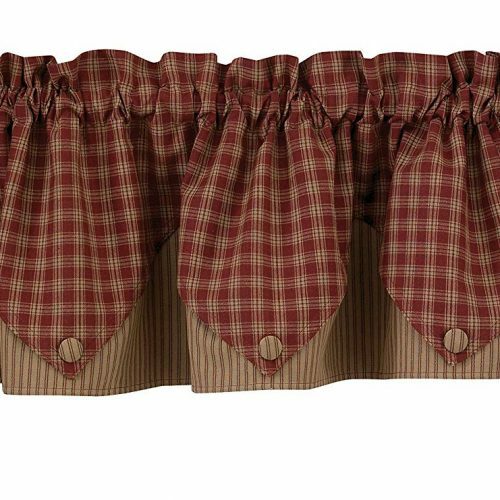 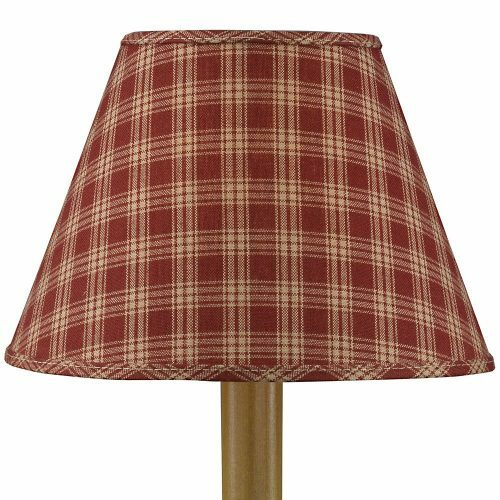 Made with a nice quality cotton, these Sturbridge Wine curtain tiers have a traditional 19th century plaid pattern. They are heavy enough to block light and they also help to insulate from heat and cold. 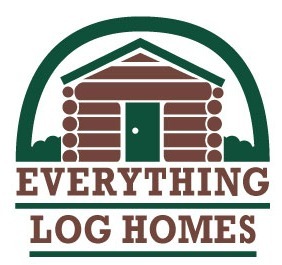 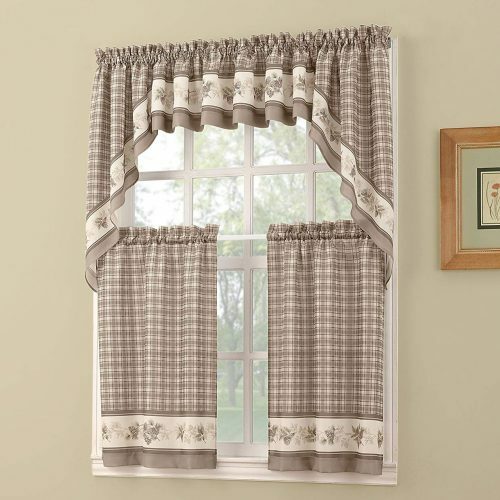 This Sturbridge Village pattern goes well with a number of decors: Americana, cabin, lodge, or primitive. 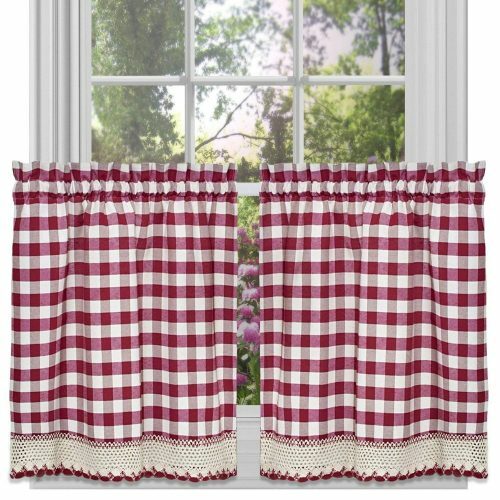 I’ve seen it in Amish stores in Lancaster County, Pennsylvania, as well. 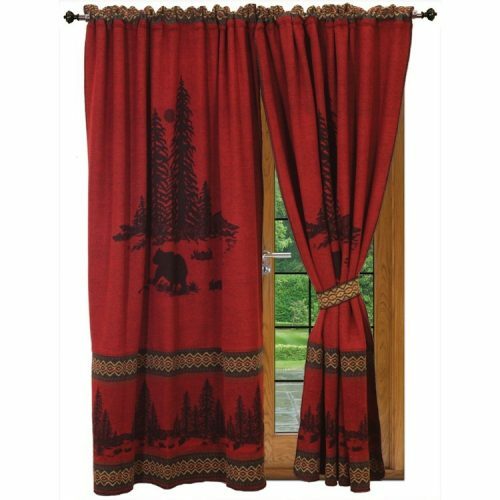 This collection is a nice quality and made of 100% cotton. 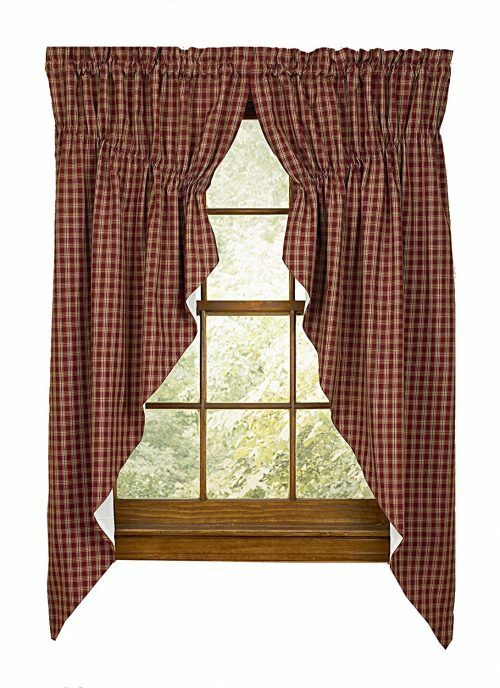 The curtains and plain valance are unlined. 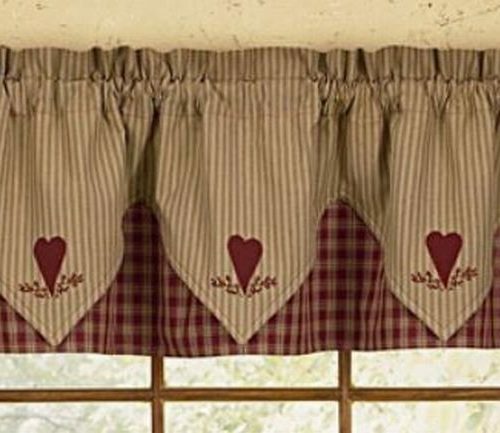 However, the button valance, the star valance and the heart valances are layered. 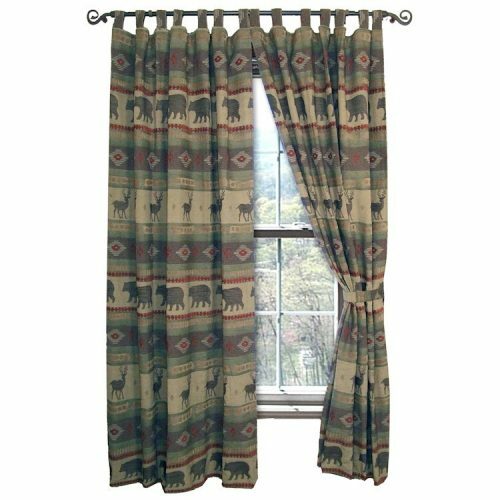 The tiers measure 72″ wide, and they come in 24″ or 36″ lengths. 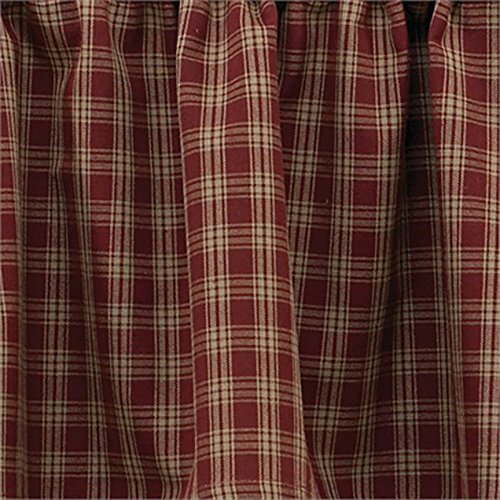 But, you have a nice selection of curtains to choose from.